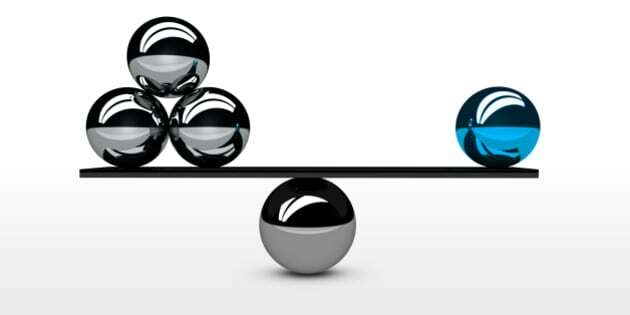 Balancing business quality versus quantity balance conceptual graphic for business and marketing concept 3D illustration. There are currently over 966 million websites in the world today. So basically, if you're doing any sort of online selling, you've noticed how stupidly competitive and extremely cut-throat it is when it comes to marketing. "Often and especially for SMBs, guerilla marketing is much more needed for best visibility." says veteran SEO Alan Bleiweiss. In 2015, veteran marketer Kane Jamison wrote that Facebook Ads were one of the most powerful tools we had as digital marketers. Given that Facebook now influences more than 52 percent of consumers' online and offline purchases, it would seem he was on the right track. If you're still not using Facebook ads to attract your target market, then you're probably missing out on some very good conversion opportunities. Especially when it comes to mobile users. French- & English-speaking women, between the ages of 31 and 56, located in a 10-mile radius of Boston, MA, who work either from home or from a small office in the retail production industry, who are "fit moms" and "green moms" of grade school kids, who have friends with an anniversary within 30 days or friends with upcoming birthdays. An added bonus of a Facebook ad campaign, is that you'll also get access to valuable user data that can help shape future ad campaigns. People lead busy lives, and although a potential customer may have started the buying process on your website, there's a good possibility they didn't complete it. A smart business owner knows that there's a way to track these type of website visitors. An even smarter business owner knows, that there's still a chance to get those sales by showing customized ads to these visitors while they surf OTHER sites around the internet. In fact, with ad retargeting you have a 70 percent chance of finalizing a "lost" sale. Which is why 46% of search engine marketing professionals believe retargeting is the most underused online marketing technology today. Canadian company Arc Insurance uses ad retargeting because the nature of their business often means that customers will visit many different websites for insurance quotes before deciding where to ultimately buy. The same goes for any quote based service website (think trips, flights, hotels etc). "If we stay on their radar, we are more likely than our competitors to get their business when they're ready to buy" says Adam Rainer, marketer for Arc. According to marketer Jake O'connell, ad retargeting is a large part of their website rebranding effort for Manning Town Centre. "We're using ad retargeting because we want our customers to be well informed and aware of the major changes we're undergoing". Criteo and AdRoll are currently the two main providers for ad retargeting services. You might want to check out some best practices for running a retargeting campaign before getting started though, as there are ways to be annoying that you'll definitely want to avoid. According to well-known online entrepreneur Copyblogger, there is only one type of content that can cut through the noise and deliver long-term results. It's called evergreen content and, if you want to attract links, clicks and social media mentions (which can lead to sales), it needs to be a major part of your online marketing plan in 2017. Not only does evergreen content earn you attention, but having a site full of evergreen content also ensures that the high-quality articles you're working so hard to create, stay relevant for years to come. Use tools like BuzzSumo to mine data and get evergreen content ideas for your niche. The more you dig, the more opportunities you'll uncover. Cost: Evergreen content can be free if you're willing to put in the time and effort to create it. Otherwise, the cost of a good writer/researcher will vary depending on the depth of the subject matter. No matter which niche you're in, if you're serious about making money with your business, then advertising through facebook, retargeting potential customers and creating content that stays relevant for years to come, will be critical to your success in 2017 and beyond.